I liked very much both children and adults, many animals can be fed. Will definitely come again. 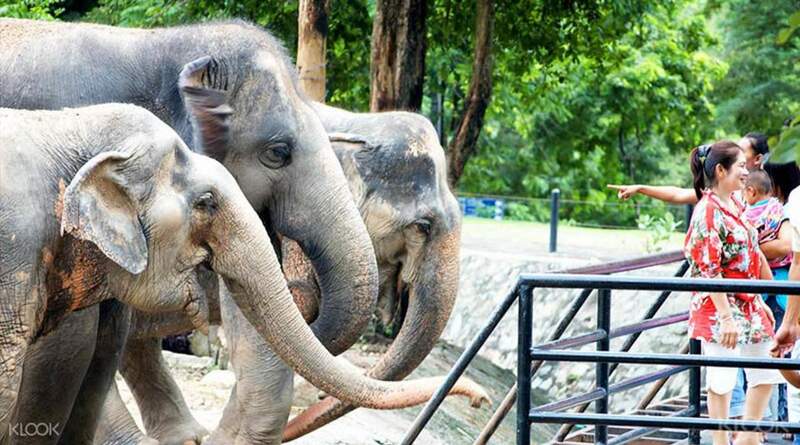 Visit Thailand's first zoo, home to more than 8,000 animals and over 300 species, living in an open-concept, uncaged world. 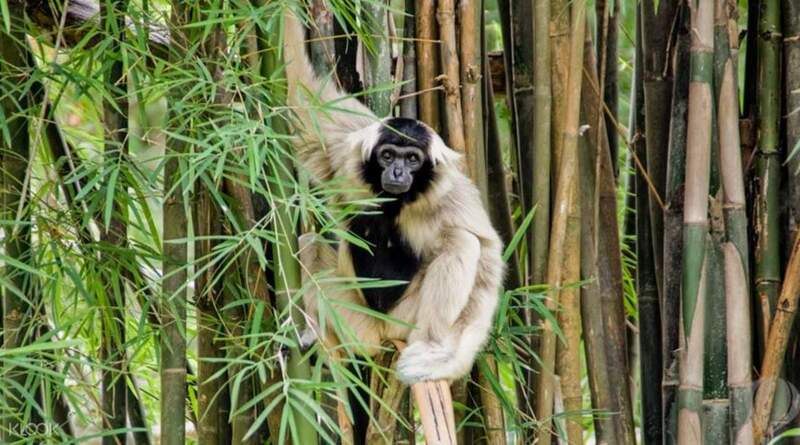 With three key goals in mind - conservation, research and education - Khao Kheow is committed to providing a humane environment where visitors and children can experience and learn about wildlife in a natural environment. Explore the African Savanna with zebras, rhinos and giraffes, see lions and tigers at the Cats Complex, walk through the colorful aviary, and ride through the one-acre deer park. You'll be able to feed and touch animals, watch a penguin parade, discover nocturnal wildlife at the zoo after dark, and even ride an elephant! Seems like a lot to cover? Don't worry, the zoo's golf cart service will zip you around quickly and efficiently! Although we had a hard time finding out how to get to the zoo (we don’t know if there are public transportation available to go there as we opt to go via Grab), we had a good time in the zoo! We choose to rent a cart to go around the zoo. Don’t expect much with their buffet as you get what you’ve paid for. Be careful of the wild monkeys around. Overall, it was a fun experience! Although we had a hard time finding out how to get to the zoo (we don’t know if there are public transportation available to go there as we opt to go via Grab), we had a good time in the zoo! We choose to rent a cart to go around the zoo. Don’t expect much with their buffet as you get what you’ve paid for. Be careful of the wild monkeys around. Overall, it was a fun experience! The first time was in this zoo, I liked it very much! The only thing was taking a car for nothing. Give only 2 hours for 700 baht, then the surcharge for each hour is 200 baht. As a result, on the square to go around much more, chep if you walk. The first time was in this zoo, I liked it very much! The only thing was taking a car for nothing. Give only 2 hours for 700 baht, then the surcharge for each hour is 200 baht. As a result, on the square to go around much more, chep if you walk. The best Zoo near by Pattaya IMHO. The territory is huge. A lot of animals from every continent that you can see, make a photo and feed. Swimming elephant underwater show was interesting. Koalas are cool! The best Zoo near by Pattaya IMHO. The territory is huge. A lot of animals from every continent that you can see, make a photo and feed. Swimming elephant underwater show was interesting. Koalas are cool! The open zoo was actually better than I anticipated. Much larger than I expected and a wide array of animals. Don’t try to walk around as you can take your vehicle through the zoo and park at different locations throughout the zoo. You can get up close and personal with many of the animals. All in all a good day out. The open zoo was actually better than I anticipated. Much larger than I expected and a wide array of animals. Don’t try to walk around as you can take your vehicle through the zoo and park at different locations throughout the zoo. You can get up close and personal with many of the animals. All in all a good day out. This is the best zoo! Where else can you feed from the hands of a ROE deer and a giraffe and an elephant, touch a Rhino by the horn, admire many other animals and birds in their everyday life in the open space! Thank you Klook for the great ticket price! I highly recommend visiting this zoo for adults and children!! This is the best zoo! Where else can you feed from the hands of a ROE deer and a giraffe and an elephant, touch a Rhino by the horn, admire many other animals and birds in their everyday life in the open space! Thank you Klook for the great ticket price! I highly recommend visiting this zoo for adults and children!! 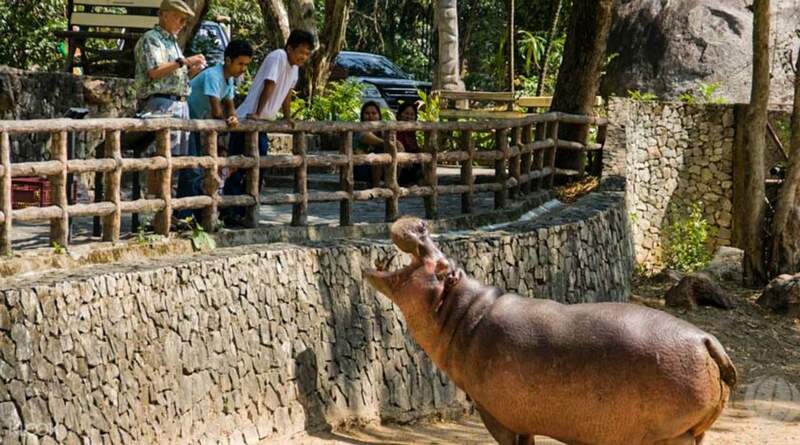 My first time to visit an open zoo where you can interact with the animals all around the zoo and that you can have interaction with them. I need more time here as that the zoo is very big. you need 1 day to explore all the zoo. My first time to visit an open zoo where you can interact with the animals all around the zoo and that you can have interaction with them. I need more time here as that the zoo is very big. you need 1 day to explore all the zoo. Great experience. Must visit. Only odd thing about that zoo is we need to rent a golf car which would cost around 500 baht for 2 hours else we need to board free bus. However, we can enjoy with family by interacting with wide species directly. Great experience. Must visit. Only odd thing about that zoo is we need to rent a golf car which would cost around 500 baht for 2 hours else we need to board free bus. However, we can enjoy with family by interacting with wide species directly. 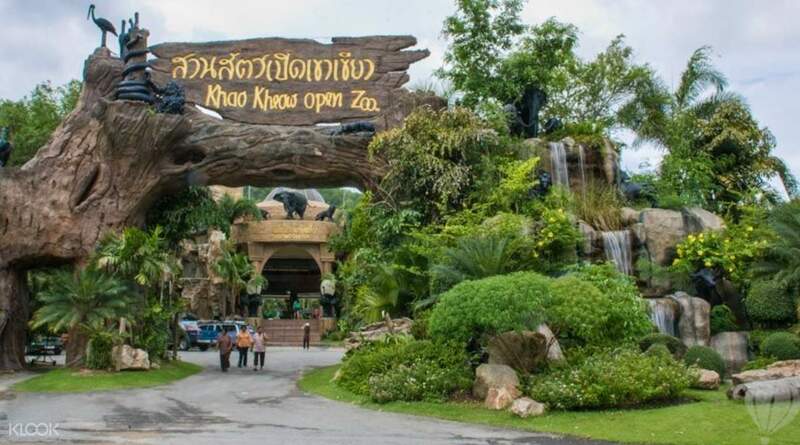 This zoo is highly recommended according to the reviews, though it is pretty far away from where we stayed (one hour), I decided that this would be the right place to end our trip and indeed I'm so glad I made the right decision, the traveling journey was all worth it. This zoo is simply amazing, it is huge and you can't go by it with walking by foot, a car is required, and we rented a golf cart, to the kids it's pretty cool. We get to see and/or touch some of the animals really up close, like the giraffe, elephants, deer, goats and a few more, we missed some, because of the time constraints (we had to rush to the airport which is an hour+ away), but we managed to feed the penguins & rhinos which are two of the top highlights of the day. 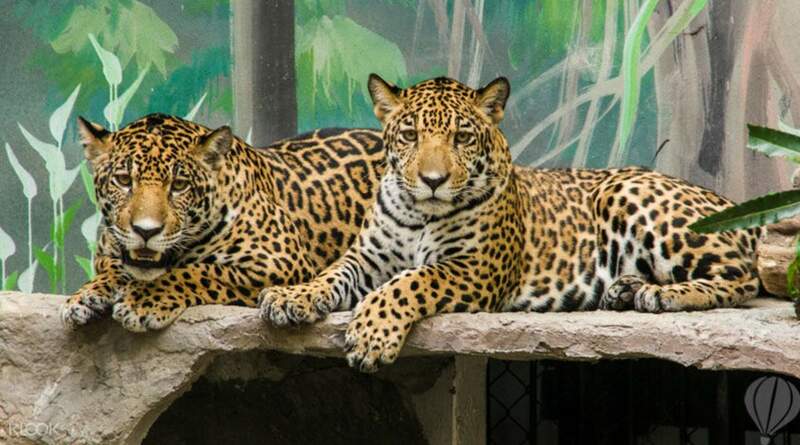 The zoo is huge, beautiful, clean, and very well maintained, although the animals all look very hungry and were very eager to be fed, they look very healthy and well taken care of. If you're in Pattaya, please do not miss this awesome place and it's a must, to allocate a whole day for it. This zoo is highly recommended according to the reviews, though it is pretty far away from where we stayed (one hour), I decided that this would be the right place to end our trip and indeed I'm so glad I made the right decision, the traveling journey was all worth it. This zoo is simply amazing, it is huge and you can't go by it with walking by foot, a car is required, and we rented a golf cart, to the kids it's pretty cool. We get to see and/or touch some of the animals really up close, like the giraffe, elephants, deer, goats and a few more, we missed some, because of the time constraints (we had to rush to the airport which is an hour+ away), but we managed to feed the penguins & rhinos which are two of the top highlights of the day. The zoo is huge, beautiful, clean, and very well maintained, although the animals all look very hungry and were very eager to be fed, they look very healthy and well taken care of. If you're in Pattaya, please do not miss this awesome place and it's a must, to allocate a whole day for it. It’s good place to spend time with family, specially children. So many animals. Using golf car is a good choice to drop off and get in easier than your own car. It’s good place to spend time with family, specially children. So many animals. Using golf car is a good choice to drop off and get in easier than your own car.